The 2 mil Premium Clear Removable Adhesive film oil change stickers are now the service industry standard. 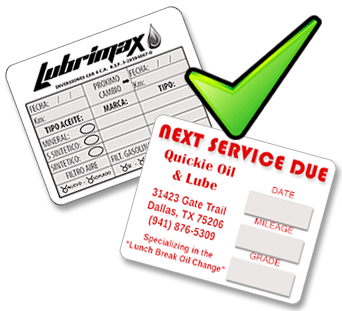 Removable adhesive oil change stickers are becoming more and more common in the oil change and service industry. The material and adhesive has actually been around for quite a while, but only in the last few years has it really taken off in the service industry. 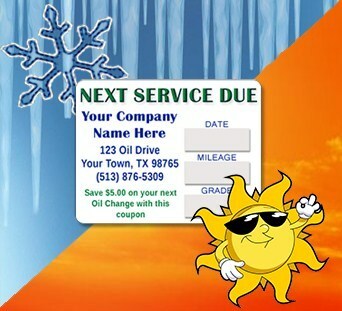 The stronger hold and extended temperature capabilities are being sought after by oil change and service locations across the country. 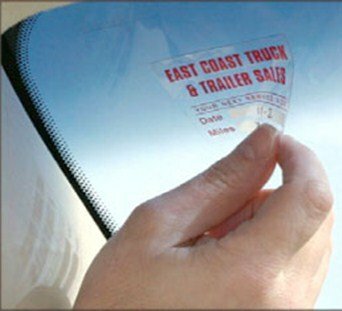 The 2 mil polypropylene film material used for your removable adhesive oil change sticker is durable and moisture resistant. Ideal for any moisture, heat and cold that car windshields are subject to on a regular basis. 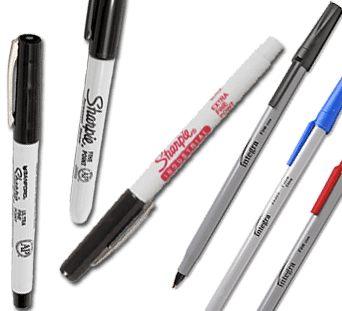 Regular pens or markers are perfect to use on your removable adhesive oil stickers that you receive from Oil-Change-Sticker.com. FOR BEST RESULTS: We suggest using a Ball Point Ink Pen, a Paint Pen or a Sharpie Industrial Extra Fine Point Marker. This specially formulated acrylic adhesive is designed to be applied to and removed from smooth, non-porus surfaces such as glass, mirrors, plastic, and even metal surfaces such as painted steel. It's perfect for oil change stickers!! The removable adhesive oil change stickers are designed to stick when you want them to, and cleanly peel off when your ready to remove them. 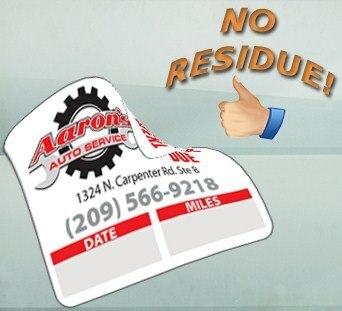 An excellent benefit of the removable adhesive oil change stickers are their ability to be used in a wider range of temperatures and conditions than their static cling counterparts. 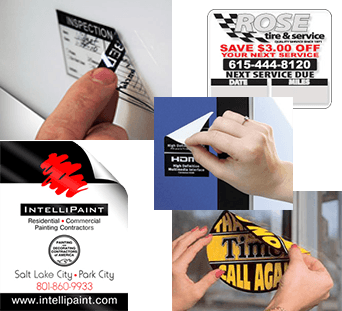 Removable adhesive oil change stickers are quickly gaining populary in the service industry. Sure they are "new and cool", but the facts that they can handle a wider range of temperatures, they stick better to the windshields and well, okay... they are pretty cool. The perfect, low cost generic oil change sticker.